Product prices and availability are accurate as of 2019-04-22 02:00:03 UTC and are subject to change. Any price and availability information displayed on http://www.amazon.com/ at the time of purchase will apply to the purchase of this product. Model: Barber Chair. 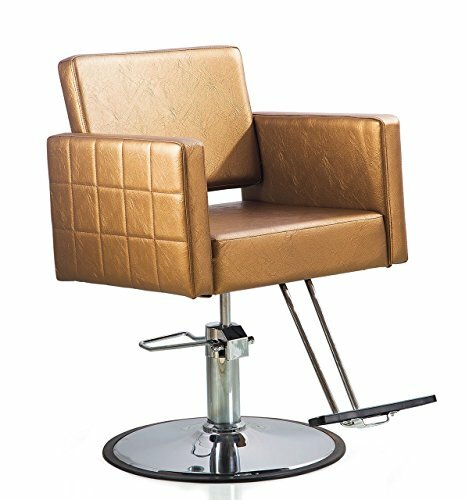 Color: Gold Seat width: 19.8". Chair width: 23.6". Min/max seat height: 20"-26.3". Load capacity: 400lbs. Weight: 61lbs. Warranty: 1 year on hydraulic pump. Ship out in 24HRS after we got payment. High quality PU material in black covered the entire chair. 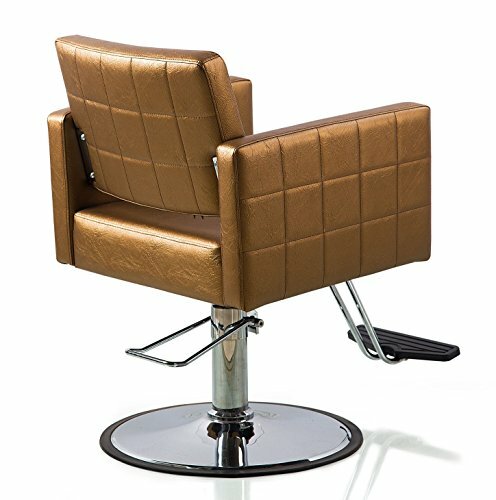 Great looking design upgrade any salon. Heavy Round solid chrome base for stability. Model: Barber Chair. Color: gold Load capacity: 400lbs. Seat width: 19.8". Chair width: 23.6". Min/max seat height: 20"-26.3". Weight: 61lbs. Warranty: 1 year on hydraulic pump. High quality PU material in black covered the entire chair. Big quantity purchase accept, please mail us. 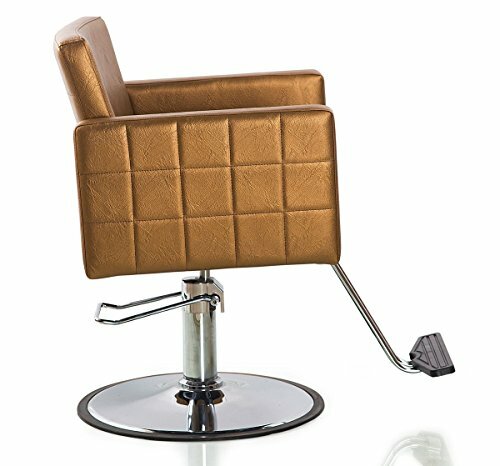 Great looking design upgrade any salon. We always try to ship within 2 business days when your order is placed and payment is received, if it takes longer one of our sales representatives will send message to you and inform of the new time frame. We offer free shipping on most items to the curbside of a business addresses within continental USA, But we don't ship to Puerto Rico , If any futher questions , please do not hesitate to contact us .